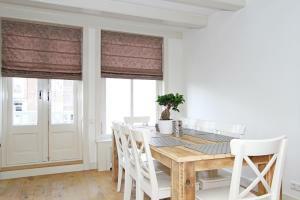 120m2 Jordaan 2 bedroom 2 bathroom apartment *Non Smoking* offers accommodations in Amsterdam. 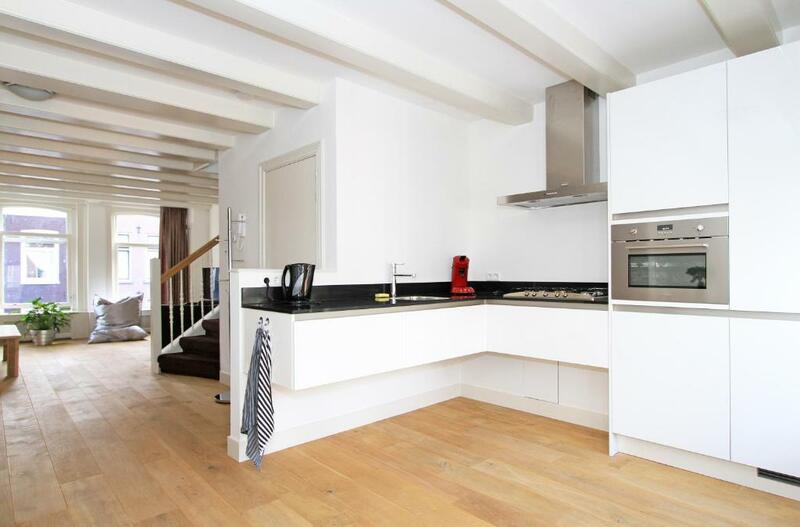 There is a seating area, a dining area and a kitchen equipped with a dishwasher. A flat-screen TV is provided. There is a private bathroom with a bath. Anne Frank House is 0.4 miles from Apartment Jordaan, and Beurs van Berlage is 0.6 miles from the property. 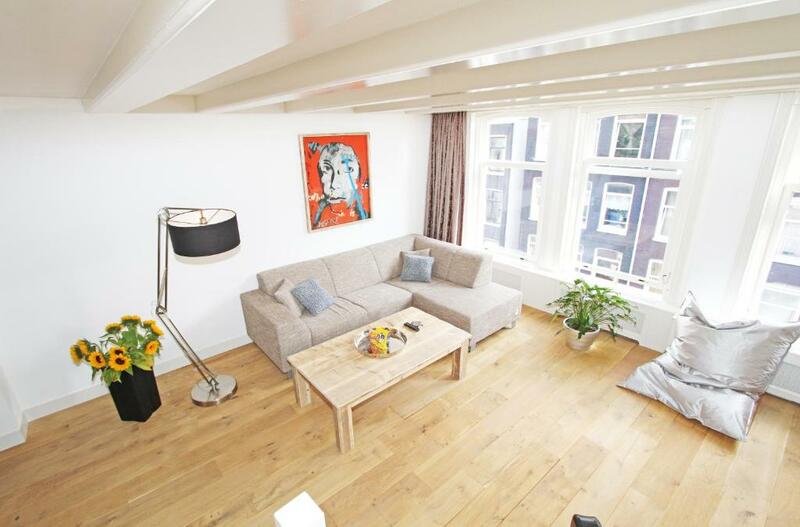 The nearest airport is Schiphol Airport, 7 miles from 120m2 Jordaan 2 bedroom 2 bathroom apartment *Non Smoking*. 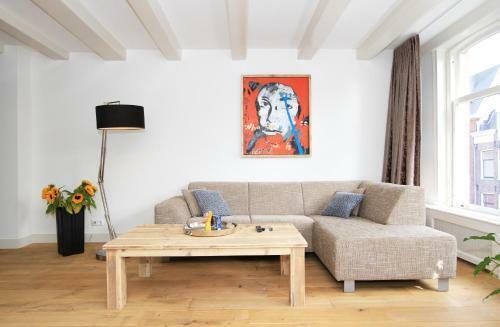 When would you like to stay at 120m2 Jordaan 2 bedroom 2 bathroom apartment *Non Smoking*? Unique 120 m2 2 bedroom/2 bathroom apartment in the most wanted part of Amsterdam; the Jordaan. 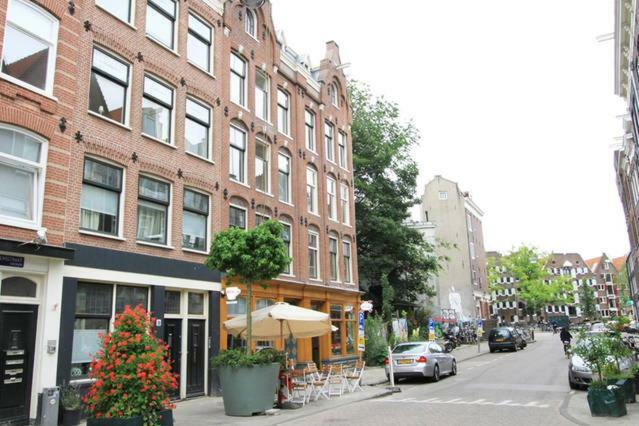 close to canals/bars/shops/restaurants and museums. ideal for a family with 2 kids and/or 2 couples. 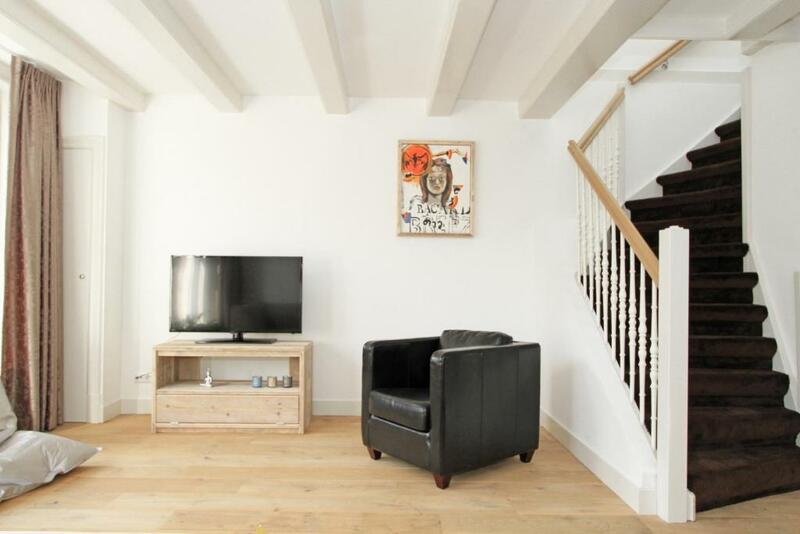 The duplex apartment is situated on the 3rd and 4th floor of a totally renovated building in the middle of the Jordaan area, Amsterdams most famous part! entrance on the 3rd floor/ large bright living room with semi open kitchen. top floor has 2 bedrooms with connected bathrooms (bath/shower). House Rules 120m2 Jordaan 2 bedroom 2 bathroom apartment *Non Smoking* takes special requests – add in the next step! 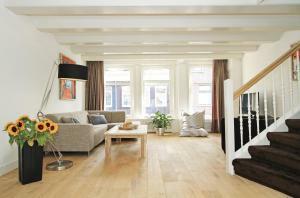 A EUR300 damage deposit is required on arrival (around USD336.21). This deposit will be fully refunded 0 days after check-out, as long as there isn't any damage to the property. 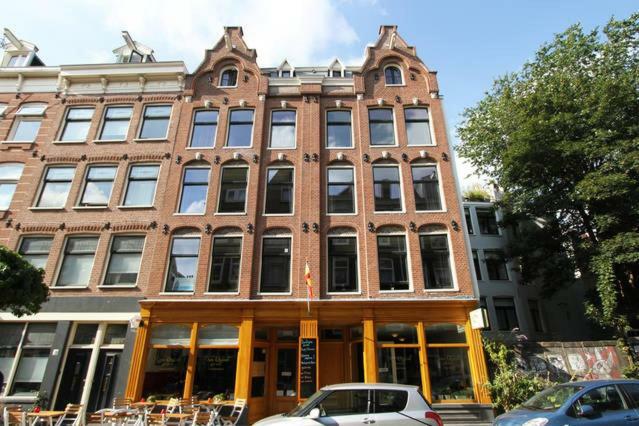 120m2 Jordaan 2 bedroom 2 bathroom apartment *Non Smoking* accepts these cards and reserves the right to temporarily hold an amount prior to arrival. 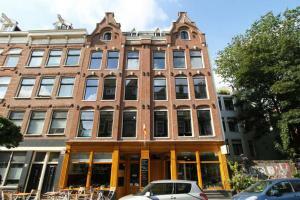 Please inform 120m2 Jordaan 2 bedroom 2 bathroom apartment *Non Smoking* of your expected arrival time in advance. You can use the Special Requests box when booking, or contact the property directly using the contact details in your confirmation. A damage deposit of EUR 300 is required on arrival. That's about 336.21USD. This will be collected as a cash payment. You should be reimbursed on check-out. We need at least 5 reviews before we can calculate a review score. If you book and review your stay, you can help 120m2 Jordaan 2 bedroom 2 bathroom apartment *Non Smoking* meet this goal.